The annual Duk Sung Girls Middle School visit is the highlight of the Academy's Korean Club every year. A total of 15 Korean students and 4 teachers from Duk Sung, located in Seoul, Korea, had quite a memorable campus visit. Exemplary student participants from Duk Sung are selected each year based on their academic and leadership merits to take the all paid for one-week trip to Hawaii. 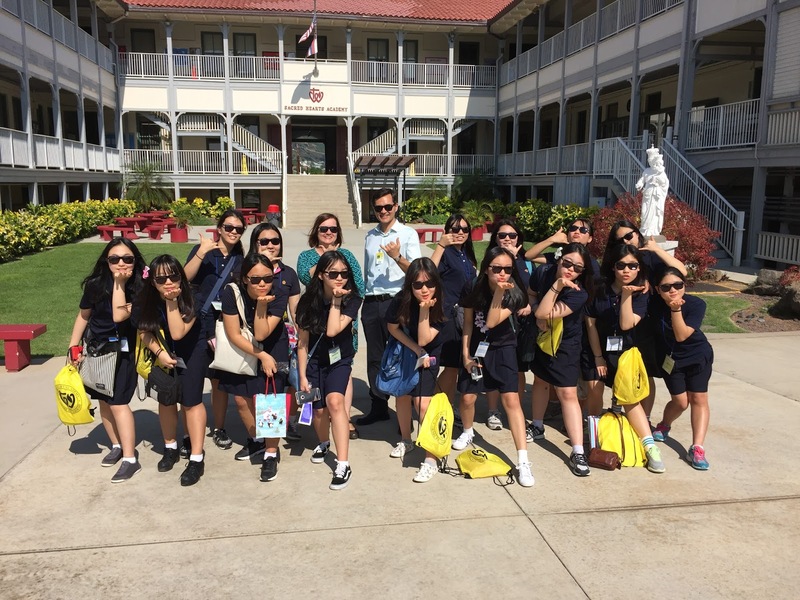 Duk Sung and Sacred Hearts Academy formally established a sister school relationship four years ago. Each year the two participate in a pen pal program where Duk Sung and Academy Korean Club Members keep in touch through email and Facebook communicating in both Korean and English. From the sweet hugs of the 1st graders to receiving the priceless gift of listening to the beautiful concert choir that brought some of them to tears, the Duksung visitors had an unforgettable visit. 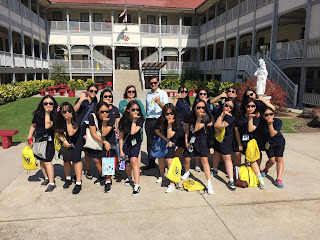 A special mahalo to Mrs. Muramoto for the campus tour and to club advisers Mr. Park and Mrs. Normand for coordinating the day!